We are the Friendly Sons of St. Patrick of Central Iowa. 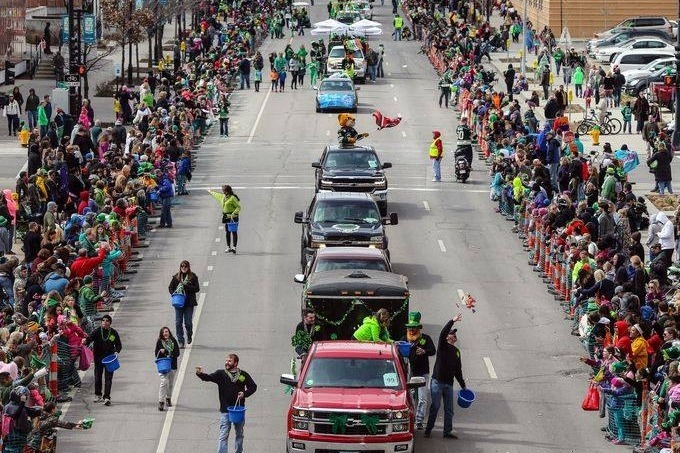 We put on the annual St.Patrick's Day Parade in Des Moines, IA. We brought this parade to our great city back in the 1980's. The event draws people not only from all over the state of Iowa, but even from neighboring states. We exclusively fund this parade through our various community events throughout the year. Over the last 10 years or so, the cost of the parade has risen from a couple of thousand dollars to over $24,000.00 annually for the past couple of years. The reasons for the cost increase are related to crowd safety and control. We install (and take down) safety fencing along the entire parade route, cover all of the parking meters, hire additional police to patrol the route and control traffic, and provide traffic barricades and signage. This is all needed since this event typically draws 20,000 to 30,000 participants and spectators, many of them small children. We do not want anyone to be in harms way at our event. At the core, our organization is about promoting the Irish heritage in central Iowa, and raising funds for various local charities. Annually, we donate around $12,000.00 to these charities, or what we call our "Community of Caring". Obviously, we want to increase the donations. The expense of the parade is greatly impacting these donations. Any help we can get to help cover the costs of the parade will allow us to increase the amount we donate.